Altbalaji's Baarish Brings Back The Old School Love! There’s no better season to fall in love in Mumbai than the monsoons. 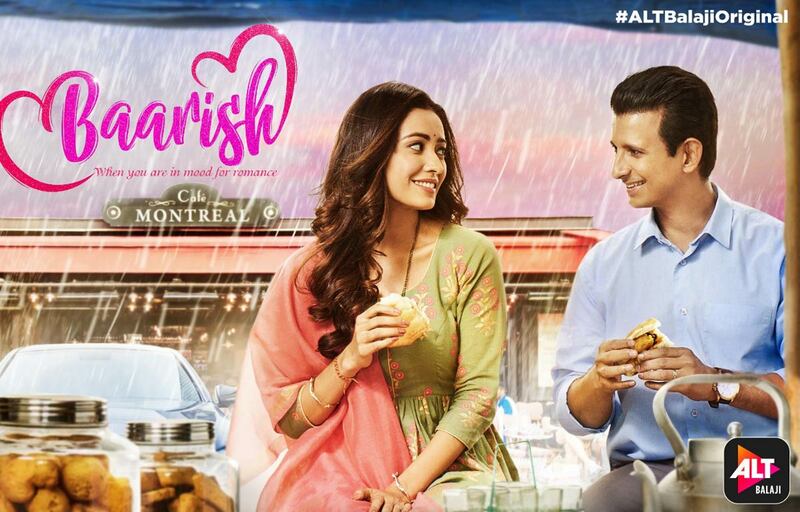 Bringing back the monsoon romance in summers, ALTBalaji is all set to keep the romance and spark alive with their latest show, Baarish- When you are in mood for romance! With the trailer that is released today, experience the awesome-mausam of the rains playing a vital role in this love story! The viewers are sure to soak in all the love and warmth of this heartfelt tale after watching the show’s trailer. Debuting in the digital world, Sharman Joshi and Asha Negi will be seen essaying the lead roles of Anuj and Gauravi in the series, which shows that it’s easier said than done when it comes to maintaining relationships. With a far from perfect love story shared between a Marathi Mulgi and a Gujarati businessman, the upcoming series is a journey of two strangers who have always prioritized family over their lives. It will also emphasize how they develop love & respect for each other on their challenging journey. Sharman Joshi shares, “I am super excited to be making my digital debut and entering a new world of reaching out to my fans. My character Anuj, in the series, is very different from the earlier characters and is really close to my heart. I hope that the audience will also feel the same amount of love we felt while making it.”Asha Negi shares, “After a very long time, I heard a script that touched my heart and instantly made me say yes for it. A story as simple and relatable as Baarish will surely strike the right chords with its viewers. This being my digital debut, I was extremely thrilled to shoot it and had a blast working with the entire team.” While family being of utmost priority to both, fans will be surprised to see Sharman Joshi and Asha Negi in an absolutely new avatar. The series is slated to air on ALTBalaji from 25th April onwards.